Product prices and availability are accurate as of 2019-04-12 20:16:10 UTC and are subject to change. Any price and availability information displayed on http://www.amazon.com/ at the time of purchase will apply to the purchase of this product. 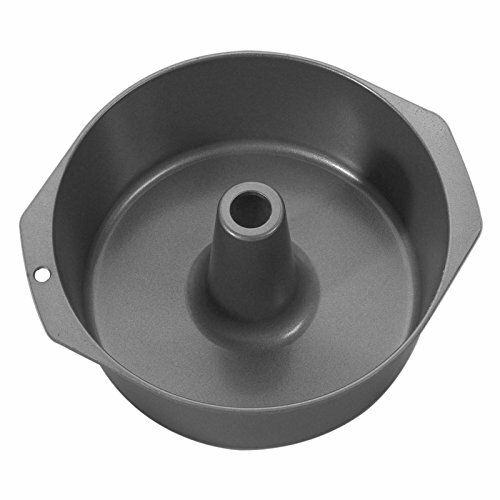 Make the lightest, fluffiest angel food cake ever with this Nordic Ware 52537 Platinum Collection Nonstick Cast Aluminum Pound Cake/Angel Food Pan. This high-quality aluminum pan heats quickly and evenly, and includes Nordic Ware's premium non-stick surface so even the most fragile cakes pop right out. Includes classic center hole mold and hanger hole on handle. Makes heavenly cakes. The Nordic Ware name is associated with the quality, dependability, and value recognized by millions of homemakers. The company's extensive finishing technology and history of quality, innovation, and consistency in this highly technical and specialized area make it a true leader in the industrial coatings industry. Since founding Nordic Ware in 1946, the company has prided itself on providing long-lasting quality products that will be handed down through generations. Its business is firmly rooted in the trust, dedication, and talent of its employees, a commitment to using quality materials and construction, a desire to provide excellence in service to customers, and never-ending research of consumer needs. Heavy duty cast aluminum is light and strong. 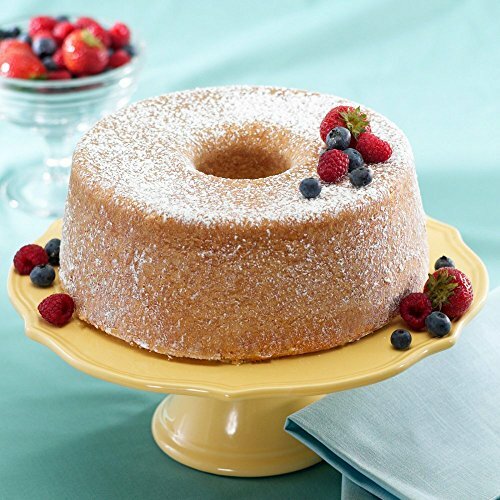 Create the classic angel food cake. Heats quickly and evenly. Premium non-stick surface. Dimensions: 11.25L x 10W x 5D inches.